Visit the Download MySQL Community Server section of the Oracle web site and download mysql-5.6.15-osx10.7-x86_64.dmg, which is the 64-bit version of MySQL 5.6.x for Mac OS X 10.7 or higher, or download the file directly from mysql-5.6.15-osx10.7-x86_64.dmg. 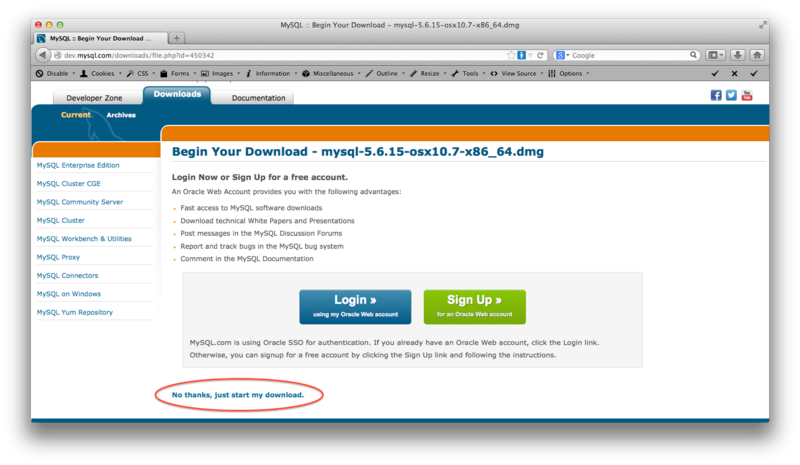 You don’t need to open an account at Oracle to download MySQL. Click “No thanks, just start my download” to continue. Figure 1: Highlighting the section of the MySQL download page that allows users to bypass registration. Double-click the mysql-5.6.13-osx10.7-x86_64.dmg disk image file. 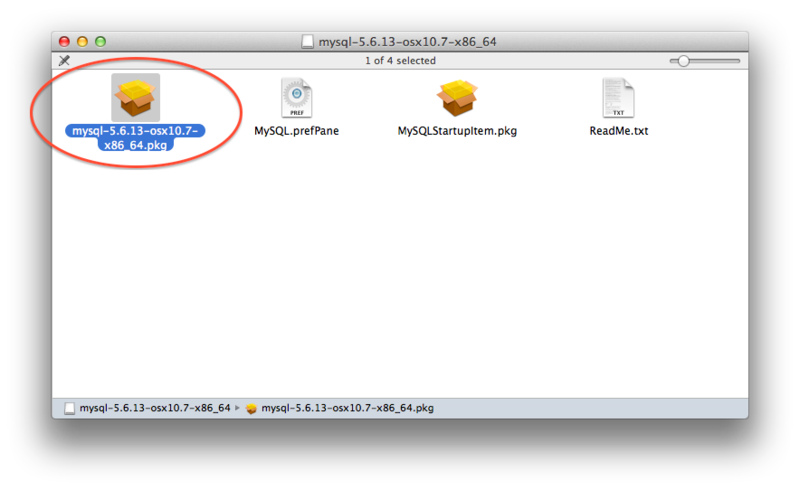 Figure 2: Placing focus on the mysql-5.6.13-osx10.7-x86_64.pkg file. Start MySQL. You’ll need your root password for this step. Your Terminal’s prompt should be hanging. Set the root password, replacing YOUR_PASSWORD with your own password. Verify your having cleared the file. You should not see your password in the output. Welcome to the MySQL monitor. Commands end with ; or \g. Navigate to the etc folder. A file called php.ini.default resides in the etc folder. We’ll need to rename it to php.ini so that we can configure MySQL to work with PHP. Assume the super user, or root, identity. You’ll need your rootpassword. Note the permissions (likely -r--r--r--) on php.ini. In this step, we’ll configure PHP with the three most familiar MySQL database interfaces: PDO, MySQLi, and MySQL. Launch emacs on php.ini to start. Change the permissions on php.ini back to 444. Rescind the super user role. Log back in to MySQL and type status once you’re logged in. Your Server, Db, Client, and Conn settings should be set to utf8.